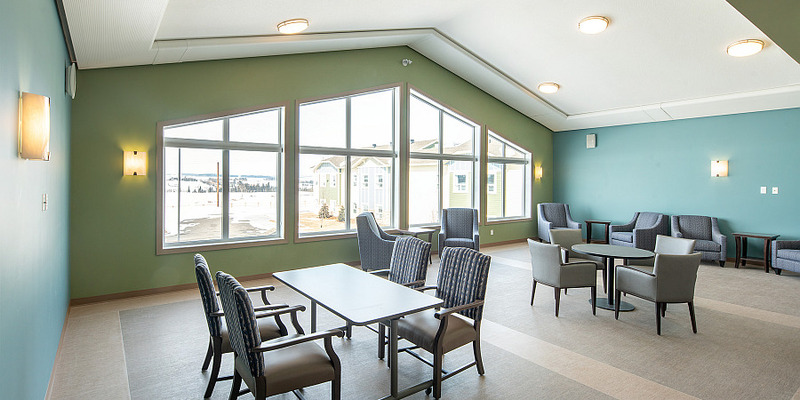 This new Supportive Living Lodge in Rimbey, Alberta features 80 lodge suites—72 studio and 8 one-bedroom units in a two-storey facility. 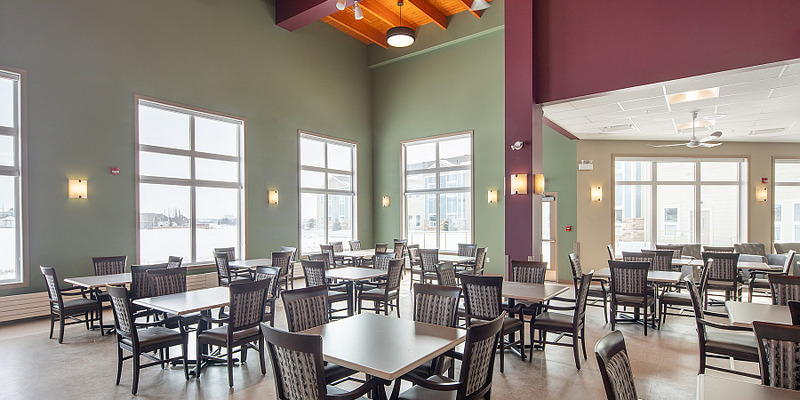 Amenity spaces and common areas include a large dining area, full commercial kitchen, family dining/multipurpose room, recreation and activity areas, hair salon, administrative offices, and various support rooms. 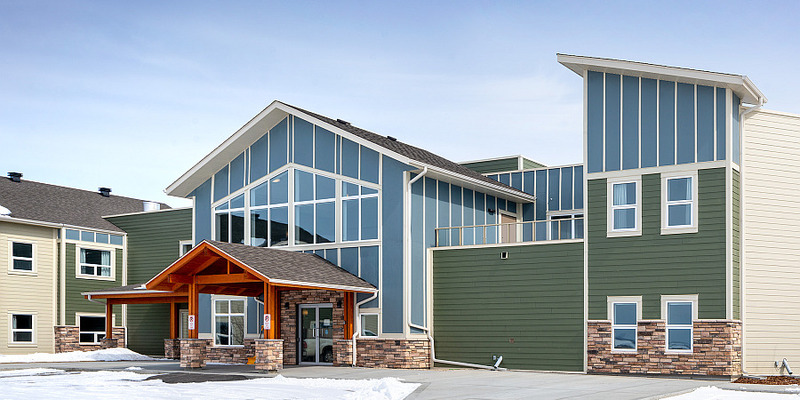 The design respects the surrounding community by including features that relate to the scale and colour palette of the neighbouring low density homes. The building shape was specifically designed to respond to a planned wet pond feature. 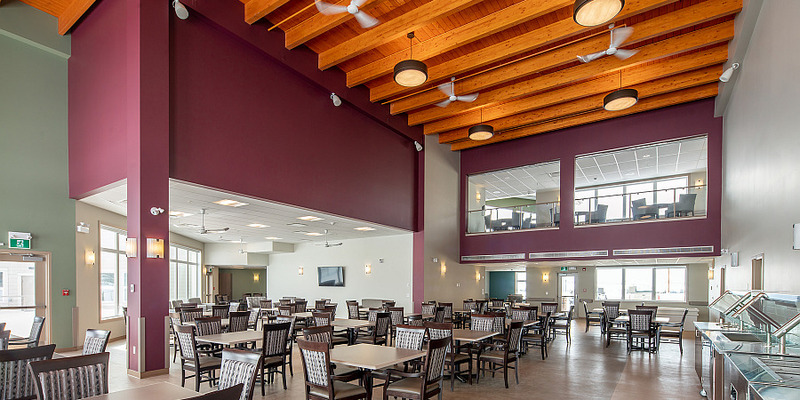 There is an outdoor patio adjacent to the pond, and path-ways from the lodge and the surrounding neighbourhood access this natural community amenity. Patios and a second-floor balcony take advantage of the views of the foothills and the mountains beyond. 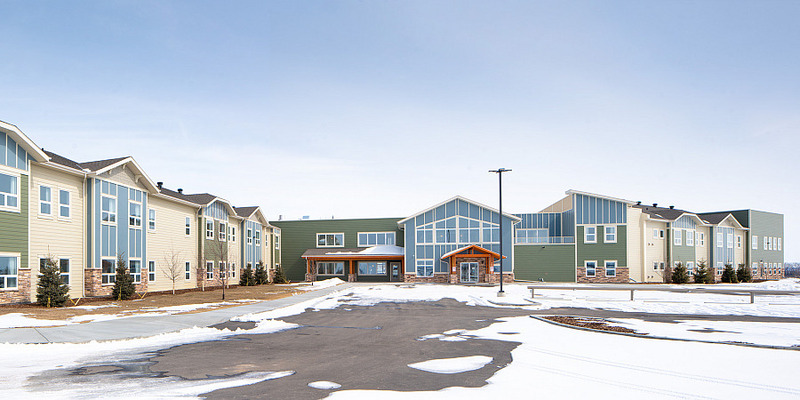 The lodge was completed in February of 2018.